The Blue Wave wedding ring features an energised double-wave design with blue anodised effect over the vibrant blue inner surface. Measuring 8mm wide this distinctive ring design benefits from a comfortable court profile for daily wear. 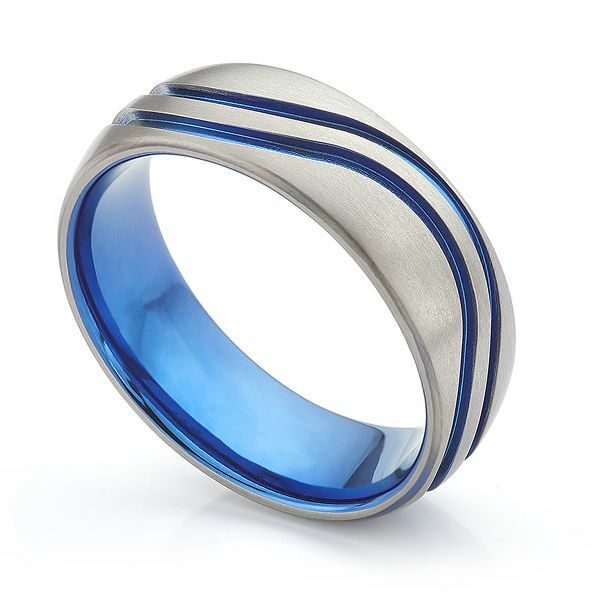 Choose to be different with the Blue Wave Wedding Ring. Styled from durable solid Zirconium, this vibrant design is available in a full range of finger sizes. The outer Zirconium band is patterned with a double wave effect. 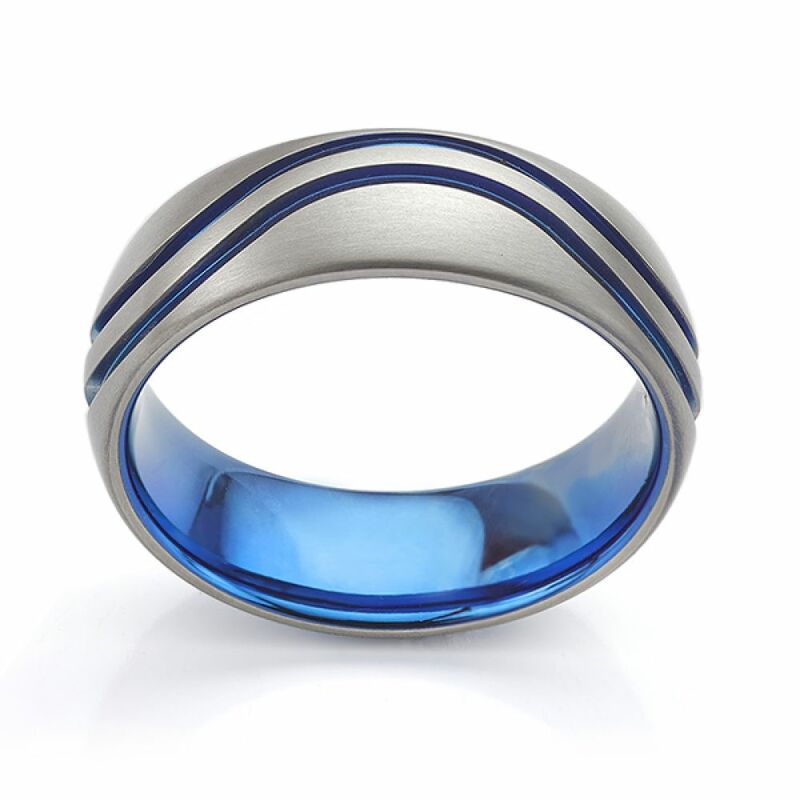 This detail is anodised with a vibrant blue flash—running around the wave design, reflected in the blue inner surface of the ring. The outer satin finish contrasts with the polished inside which benefits from a comfortable court profile—ideal for daily wear. With a substantial feel, this 8mm Wedding Ring offers comfort with lightness and durability as demanded by many of our buyers. Your ring will take around 2-3 weeks to be created before it is delivered in luxury Serendipity packaging. We deliver to many locations Worldwide. Please choose your respective currency above when selecting your delivery location, or contact us for more help.